7/26/17 – Welcome Noisetrade Listeners! 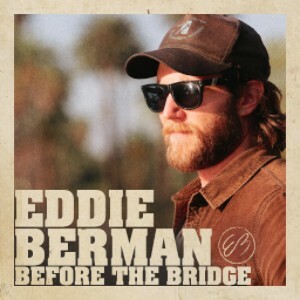 Hope you enjoyed Eddie’s music on Noisetrade. Follow Eddie on Spotify for new cover songs all month long, and on Facebook for his weekly Facebook Live residency every Wednesday at 9p ET/6p PT! Eddie is currently in the middle of a cover project where, once a week leading up to his album release, he will be sharing a cover available to buy or stream and a live acoustic video on his YouTube Channel. 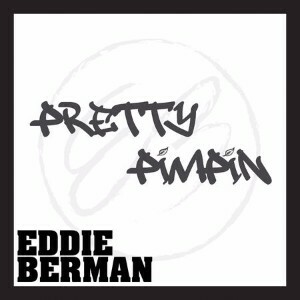 This week, Eddie did a cover of Kurt Vile’s ‘Pretty Pimpin’. You can buy/stream the cover or watch the video now. In addition to his weekly covers, Eddie is conducting a Facebook Live Residency, where every Wednesday night, he will perform the week’s cover and a couple other songs. During the performance, Eddie will answer any questions you may have, so tune in on Facebook at 9p ET/6p PT. 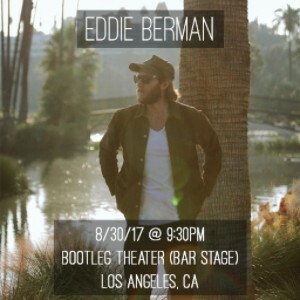 On August 30th, Eddie is excited to be supporting Parsonsfield at their LA show at the Bootleg Theater. Tickets are on sale now! Now that you’ve heard ‘Easy Rider’, check out the album it appears on. Before the Bridge will be released on September 1st. Preorder the album now so you can be one of the first to hear it! Twitter, Spotify, YouTube, and Website.